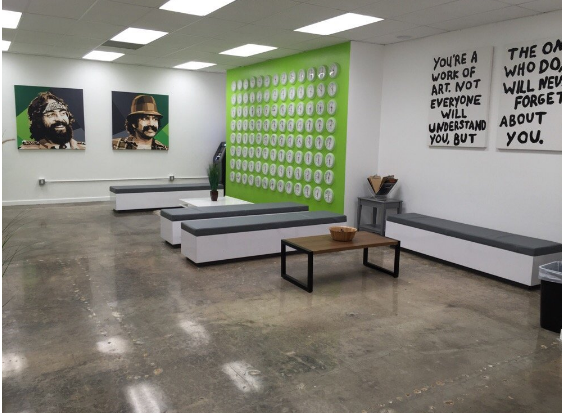 Located in Santa Ana, California is The Joint; a medical marijuana dispensary in the heart of Orange County. This premier dispensary offers high quality medications that range from flowers, oils, edibles and beverages. Open 7 days a week, The Joint provides excellent customer service at the hands of their staff and passionate budtenders. Their dispensary is as equally as pleasing with it’s artistic style. This environment fosters a sense care and makes patients feel welcomed. In mid 2015, The Joint began planning months in advance before opening their dispensary. This included researching the best dispensary Point of Sale system that they could find. After speaking with various POS companies and providers they found Cafe Cartel Systems. CCS provides performance-based POS systems that meets the regulations for medical/recreational marijuana dispensaries. By speaking with an industry consultant, they were able to review their needs and get the setup and software features they desired. The Joint required 3 terminal solutions, complete with label printers, integrated scales and a patient check in station. With CCS they were able to use a POS Grade hardware setup with scales that meets the state regulations and are NTEP approved. The check in station was not only equipped with Age Verification and a driver's license reader, but was a full CRM solution. With CCS they’re able to run different specials daily and establish happy hour pricing. Loyalty programs can also be established as well. From grow tracking, to a powerful dispensary inventory system, CCS supplies data encrypted solutions that can ward off tampering or hackers. Equipped with employee timeclock, labor scheduling, reconciling and over 100+ analytical reports, The Joint was able to use CCS to run their operations smoothly. To review your needs with an industry consultant or to test out the software for yourself, call 866-973-8099 or request a quote today. 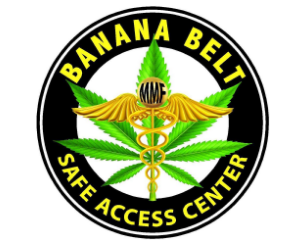 Located along the Chetco River in Harbor Oregon, is Banana Belt Safe Access Center. This medical marijuana and recreational dispensary has developed strong customer loyalty due to their knowledgeable budtenders and quality medications. The combination of these factors plus their convenient location just off the highway 101, provides insight into their effective business model. In late 2015, BBSAC began looking for an alternative to MMJMenu. They required a solution that could accommodate limitation for purchases for residents and nonresidents, organize tax categories on receipts and finally, a solution that they could purchase software only. They already had their hardware and didn’t want to spend additional capital on something they didn’t need. After comparing multiple software options they went to Cafe Cartel for a demo. The following video demonstrates their first desired feature by utilizing CCS software. As you can see, this feature prompts the budtender when the order exceeds the max gram count whether it be for residents or nonresidents. The POS calculates this amount based on the flowers, oils, edibles, etc. The ease of setting up this feature is equally as intuitive. CCS also routinely updates their software for Oregon’s requirements for scales, reports and receipts. Thus they also accommodate the categorized receipts. After discussing these needs with a CCS consultant, it was clear to Banana Belt that Cafe Cartel was a software company that not only understood the industry but adapted to it as needed - proving it to be the best, long term solution. BBSAC was also able to purchase software only from CCS and install it on their own hardware. They gained access to a powerful inventory system which included item location, grow tracking and item details that lists the THC/CBD content, to name a few. Though there are many features CCS provides such as age verification, CRM, employee time clock, reconciling and reporting - there are always features or modules dispensaries prioritize more based on their needs. To review your priorities with an industry consultant, call 866-973-8099 or request a quote today. Mesa Organics is Pueblo Colorado’s premier marijuana dispensary whose mission can be easily summed up by their motto - which is “Healthy. Natural. Living.” and also, “Improving quality of life for people and pets”. Mesa Organics is committed to providing products that promote healthy living that respects the earth and the environment. They strive to grow and distribute the best cannabis and cannabis-infused products as possible in order to improve people’s quality of life and make the world a better place. In July 2015, Mesa Organics contacted Cafe Cartel inquiring about their POS systems. Mesa was referred to CCS by another dispensary in Durango that recommended them over MJ Freeway. Of course, getting a referral who had experienced both POS systems and knew the software, was of benefit to them. Many dispensaries in Colorado use CCS POS as they not only meet the state’s regulations, but also provide solution that perfects operations and grants owner’s sophisticated managerial oversight. Conveniently, Mesa Organics was able to travel to a local dispensary that operated CCS and were able to get a view of it first hand and get an unbiased review of the product. Though they looked at other POS companies as well, after seeing the system in action, CCS was undeniably the best option for them. This conclusion was weighed by the reliability of the hardware, the software features and of course, the level of technical support provided by Cafe Cartel. Mesa Organics ordered the Indica Altera 3400S. This package came complete with terminals, integrated scales, label printer, scanners and a check in station. With CCS they gained access to age verification, limitations based on residents/nonresidents, data encryption and grow tracking. Their powerful inventory system specifies the THC/CBD percentages and product details to the budtender and included location management for those who stock a lot of products. CCS comes equipped with employee timeclock, labor scheduling, reconciling, QuickBooks integration and over 100+ analytical reports and charts. To review these features and more, call 866-973-8099 to speak with an industry consultant or request a quote today. Highway 420 is both an OMMP and recreational dispensary located along the Neawanna Creek in Seaside, Oregon. They’re also a Headshop which means they’re “open to the public” for selling vape pens, e-juices, grinders, pipes and bongs. Various detox products and tests are also available for purchase 7 days a week. By being situated in Oregon’s favorite coastal destination, it’s no wonder that Highway 420’s popularity has risen to new heights. In 2010, Highway 420 began researching the best Point of Sale systems for dispensaries. By comparing a variety of systems based on their price point, features, product support and longevity, they were able to gauge which system would be the best for them. Finding a POS that met Oregon’s dispensary regulations was absolutely essential. Then they found Cafe Cartel Systems, the leading provider for dispensary Point of Sale. By choosing Cafe Cartel as their Point of Sale provider, they received a complete hardware and software solution that met the state’s requirements for weights, metrics and was also NTEP approved. CCS is a secure system that is data encrypted and prevents tampering. It’s components come with warranty and technical support to ensure the it’s top quality performance and reliability. With a powerful inventory system, Highway 420 gained sophisticated oversight of their sales and employee oversight. Originally Highway 420 was establish in Portland. In late 2012 they moved to Seaside and took their CCS POS system with them. As the regulations change for the Oregon marijuana industry, CCS has evolved to accommodate the needs of their clients, including Highway 420. CCS keeps the software up-to-date with all features required to run a medical and recreational dispensary, which proves it to be the best long term solution. To see how CCS can improve your dispensaries inventory, operations and security, call 866-973-8099 to speak with an industry consultant or request a quote today. Natures Herbs and Wellness Center was established back in 2009 in Garden City, Colorado. Located in this 4X5 block town, Nature’s Herbs is the largest employer in the area. They’re a family owned and operated company; the owner’s parents, cousins, aunts and uncles all work at the dispensary trimming buds. Based on their small location it would be easy to dismiss them as a “small business” but that couldn’t be farther than the truth. Since their initial opening they‘ve grown to a total of 3 locations and are constantly expanding in order to produce enough marijuana for the demand. Patients drive sometimes up to 2 hours to reach these dispensaries since they have the highest potency THC and CBD concentrates. Their popular edibles are made in their very own Nature’s Kitchen. With their prime location, quality products and knowledgeable budtenders, it’s no wonder why they’re the leading dispensary in the area. Cafe Cartel Systems provided their Point of Sale System to Nature’s Herbs since they first began. By utilizing features such as Grow Tracking to Patient/Client Verification, CCS supplied a solution designed around dispensaries needs. CCS provides reliable hardware and integrated scales that meet state regulations and are NTEP approved. Their system is secure, complete with data encryption to prevent tampering and hackers. With advanced inventory functions, blind drops and loyalty programs, CCS ensures dispensaries get the best out of their system. All solutions come with employee time clock, labor scheduling, reconciling and over 100+ analytical reports and charts. Though equipped with many modules and functions, CCS is the most intuitive and easy-to-use system for management and staff alike. Nature’s Herbs continues to use CCS at all of their locations and has continued purchasing additional software and hardware as they expand. Their uniform solution is able to handle multiple locations loyalty programs, promotions and discounts. Cafe Cartel provides technical support and software upgrades ensuring that their system is always running smoothly and efficiently. For more information on the most reliable dispensary Point of Sale, call 866-973-8099 to speak with an industry consultant or request a quote today.